Contact your press officer by dialing 206-543-2580 (or ext. 32580). Michelle Ma covers fisheries, forestry, watershed/streamside studies, wood products, Puget Sound, marine policy and urban horticulture. Hannah Hickey covers oceanography, atmospheric science, climate, polar science and geology. 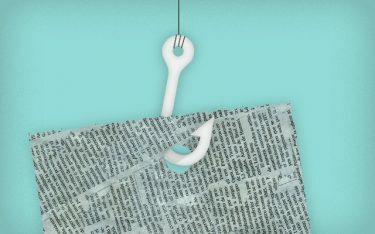 The best action you can take is to cultivate a trusted set of news sources. Don’t rely on any one outlet, however solid, to be your only source of information about a specific story or issue. Remember that even reputable news sites may have blogs or community pages that don’t adhere to the same journalistic standards. Did a post on social media leave you fuming? It may be designed to trigger that response in people who share similar values. Find a second source to corroborate, or check the story site to see what kind of news they publish. Take an active role in halting the spread of false information: whether it’s a news story, opinion piece or research paper, vet the piece before you share it with others. The more chaotic a situation, the less you should follow in real time. Try a few times a day to filter out false reporting in the moment. Shares, views and other online metrics don’t indicate the quality or trustworthiness of content. Don’t be so vigilant about fake news that you let poor journalism slip past (badly cited, misattributed quotes, etc). Does it end in something odd, like .co, .com.co or .info? Fake news sites often rely on tricks that make people think they’re reliable sources (e.g., abcnews.com.co is a fake news site preying on people who mistake it for abcnews.com). Does the “about us” section make it clear whose site this is and whether they have a specific agenda? Does the “contact us” section contain the level of info you’d expect to find from a real newsroom, or is it just an @aol.com email address? If the headline uses hyperbole, extreme language or appeals to strong emotions, it’s likely clickbait that intentionally misrepresents the real story. Exaggerated headlines are often — though not always — reason to approach the piece with caution. Google the author to see if the person is who they say they are. In some cases, it becomes very clear that the “Pulitzer prize-winning investigative journalist” is actually a political blogger with a history of falsifying information. If there’s no byline at all, the site might use content mills, not journalists, to write articles. How reliable are the sources? Are people being quoted? Are they real people? Almost anyone can be Googled these days. Does the info you find online match up with the person being presented in the story? (e.g., the “national climate expert” in the piece could turn out to be an osteopath in upper Vermont). Is the story pinned to something a famous person said? Search for the quote. If you can’t find it anywhere else online, it’s unlikely to be true. Check embedded links. Do the original sources reflect what the piece claims they say, or are they being distorted, misinterpreted or misquoted? Are the links from real organizations, studies or stories? Do the links even go where they claim to? When did the event or incident actually happen? An event or incident may not have happened when the story claims. In a well-known example, Donald Trump said that his victory in the 2016 presidential election caused Ford to cancel a proposed truck factory in Mexico. Online, readers cited blogs linking to a CNN Money article titled “Ford shifts truck production from Mexico to Ohio.” But the story ran in August 2015; there’s no relationship between Ford’s decision and the election outcome. It’s easy to manipulate photos and video. A reverse image search on Google can help you see if content is taken out of context or if it’s been digitally altered. Sources that entirely fabricate information, disseminate deceptive content or grossly distort actual news reports. Sources that use humor, irony, exaggeration, ridicule and false information to comment on current events. Sources that come from a particular point of view and may rely on propaganda, decontextualized information and opinions distorted as facts. Sources that promote pseudoscience, metaphysics, naturalistic fallacies and other scientifically dubious claims. Can overlap with conspiracy theory sites. Sources that actively promote racism, misogyny, homophobia, and other forms of discrimination. Sources that provide generally credible content, but use exaggerated, misleading, or questionable headlines, social media descriptions, and/or images. 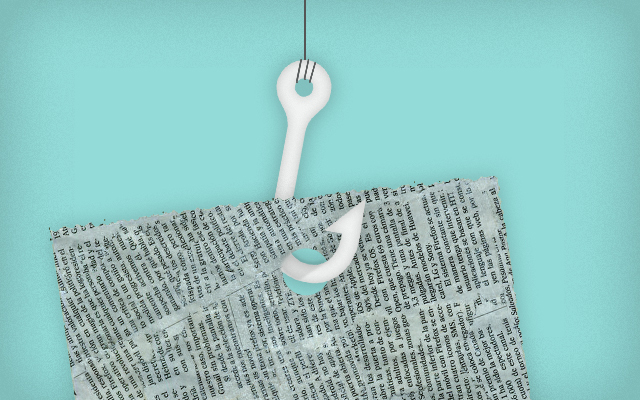 Even credible news sources can write clickbait headlines and stories — another reason to rely on multiple trusted sources for your information.